Sir Donald Bradman was an Australian cricketer hailed as the greatest ever Test batsman of all time. This biography of Sir Donald Bradman provides detailed information about his childhood, life, achievements, works & timeline. Sir Donald George Bradman was an Australian cricketer hailed as the greatest Test batsman of all time. With an unbelievably high career Test batting average of 99.94, he figures among the greatest sportsmen to have played any major sport. Crazy about cricket from a young age, it comes as no surprise that he rose to become one of the game’s everlasting icons. He loved playing cricket as a little boy and devised a game of “solo” cricket to play by himself when he could not find other boys to play with. He was blessed with a natural talent and enduring stamina to play sports and would have, without doubt, excelled at any sport he played. It was his undying love for the game of cricket that made him choose the sport and he enriched the game with his phenomenal achievements. With his unwavering concentration and powerful strokes, he set many records and won numerous games for his team. 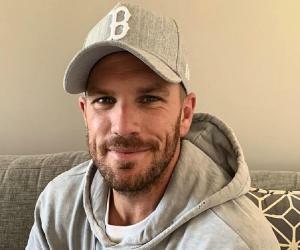 The World War II forced him out of the game for a short while but he returned with a vengeance to create one of the most formidable Australian teams to ever have existed. Today, decades after his retirement, his name still continues to inspire aspiring cricketers all over the world. He was born on 27 August 1908, in New South Wales, Australia, as the youngest child of George and Emily Bradman. He had three sisters and one brother. He loved playing cricket from a young age. Athletic and naturally talented, he even devised a game of solo cricket using a cricket stump for a bat and a golf ball. 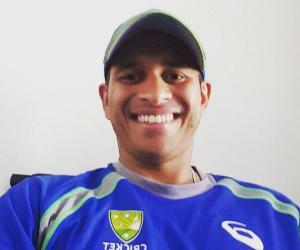 He used to play cricket for his school team while studying at Bowral Public School, and scored his first century when he was just 12 years old. He left school in 1922 and started working for a local real estate agent. Luckily his employer understood Bradman’s passion for cricket and gave him time off whenever he needed. 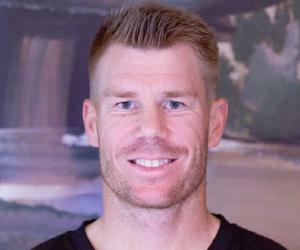 He made his first-class debut at the Adelaide Oval when he was 19. He marked his entry with a smashing performance with the bat, scoring 118 runs. He played his first Test match in November 1928 against England. Even though his performance in his test debut was poor he displayed his potential in the third test of the series scoring 79 and 112, and thus becoming the youngest player at the time to make a Test century. 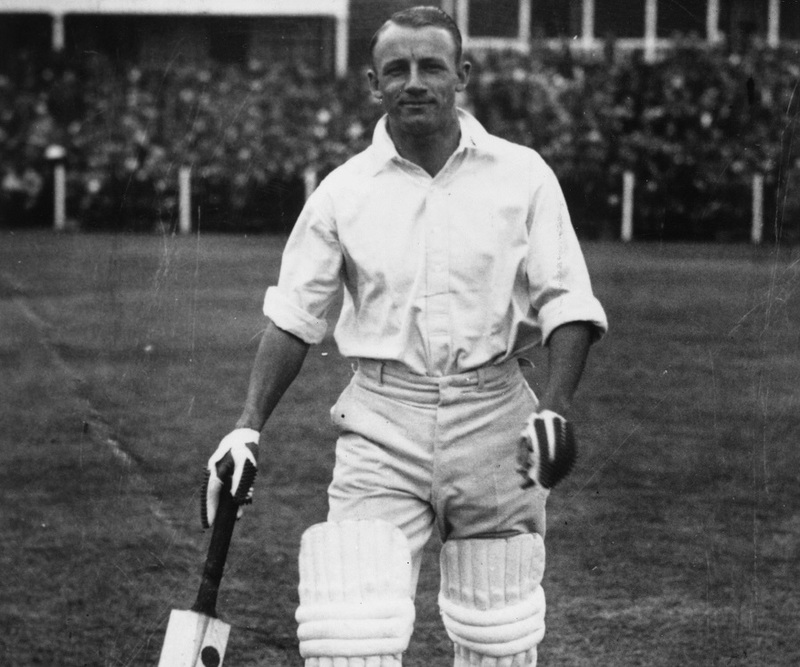 He was chosen to play the 1930 Ashes series against England and hit 131 in the first test match and went on to make 254 runs in the second test. Maintaining his glorious form he hit two centuries, one each in each of the innings in the third test. He made a triple century in the third test and a double century in the fourth and final test. Australia won the Ashes. During the 1930s when the world was reeling under the Great Depression, Australia’s sporting achievements came as a welcome respite. His popularity soared high during this period. The 1932-33 Ashes series held in Australia proved to be the toughest series of the Bradman's career. In order to combat the batting skills of Don Bradman, English captain Douglas Jardine employed 'Bodyline' tactics. It involved bowling the cricket ball towards the body of the batsman on the line of the leg stump. The tactic was considered to be intimidatory and physically threatening. The tactic was quite successful in curbing run-making ability of Bradman; his batting average in the series was 56. England won the series. He performed exceptionally well in the 1938 tour of England. He played 26 innings in this tour and amassed a staggering 13 centuries! The Second World War ate up the golden period of his career. He joined the Royal Australian Air Force in 1940 and was deemed fit for air crew duty. But he was soon transferred to the army and given the rank of Lieutenant. He was posted to the Army School of Physical Training and the physical stress of this job affected his health severely, causing him to be invalided out of service in 1941. 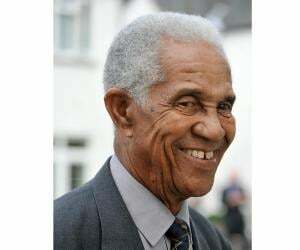 He returned to playing cricket in the mid-1940s and played his final Test at The Oval against England in 1948. As luck could have it, the legendary batsman was out for a duck, ending his test career with an average of 99.94. 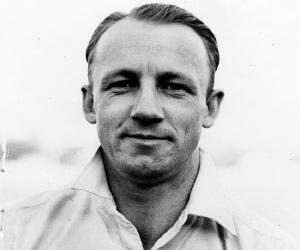 Bradman made 6996 runs in 52 Test Matches (80 Innings) at an average of 99.94. He scored 29 test centuries, which was a world record at that time. Bradman’s record of 974 runs in a series is the most by any player in Test history and it still stands today. He was made a Knight Bachelor in 1949 in recognition of his services to cricket, becoming the only Australian cricketer to be so honored. The Australian government awarded him the Companion of the Order of Australia (AC), "in recognition of service to the sport of cricket and cricket administration" in 1979. In 2000 he was voted the greatest cricketer of the 20th century by Wisden Cricket Almanack, decided unanimously by the 100 judges. He met Jessie Martha Menzies in 1920 and married her in 1932 after several years of courtship. She was a pillar of support to him and the couple complemented each other perfectly in their 65-year long marriage. His personal life was plagued with problems regarding his children. 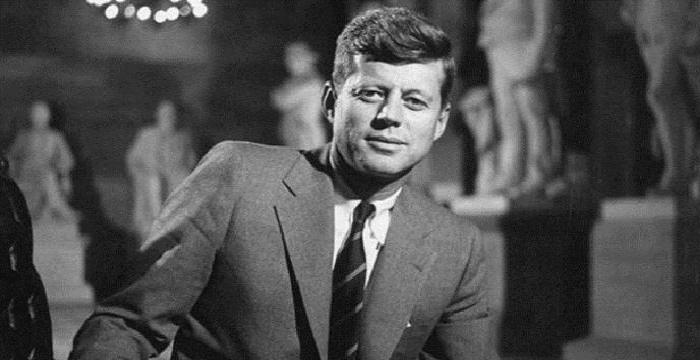 One son died as an infant while another became afflicted with polio. He also had a daughter born with cerebral palsy. He was very close to his wife and her death in 1997 left him shattered. He died on 25 February 2001, at the age of 92. He is the only Test player so far to have scored 300 runs in a single day's play. 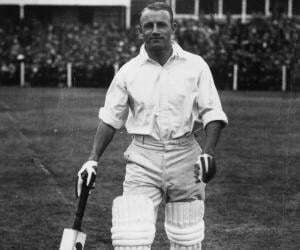 Bradman was out for duck in his final test. He missed a test average of 100 by a mere 4 runs.